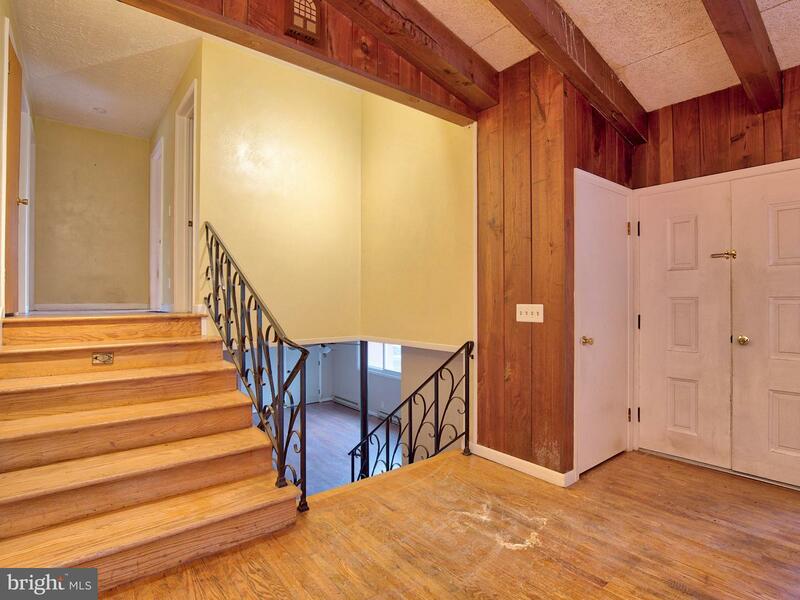 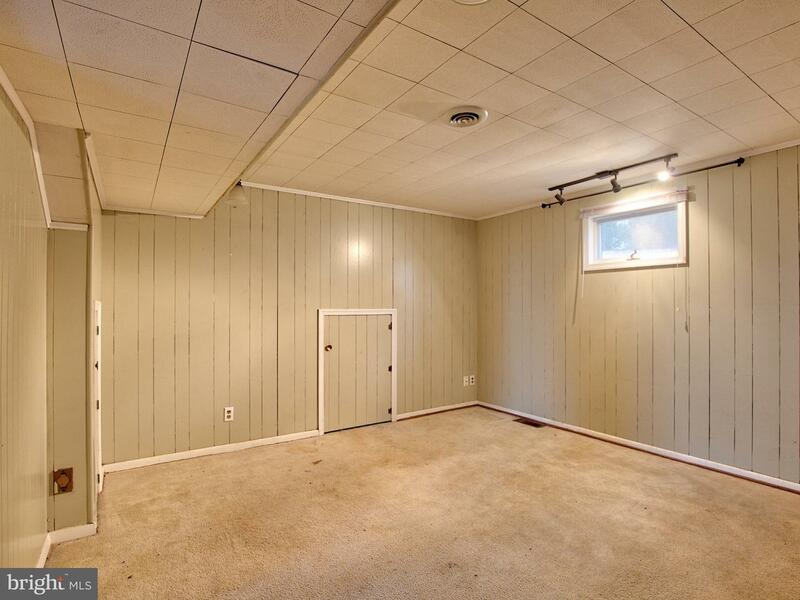 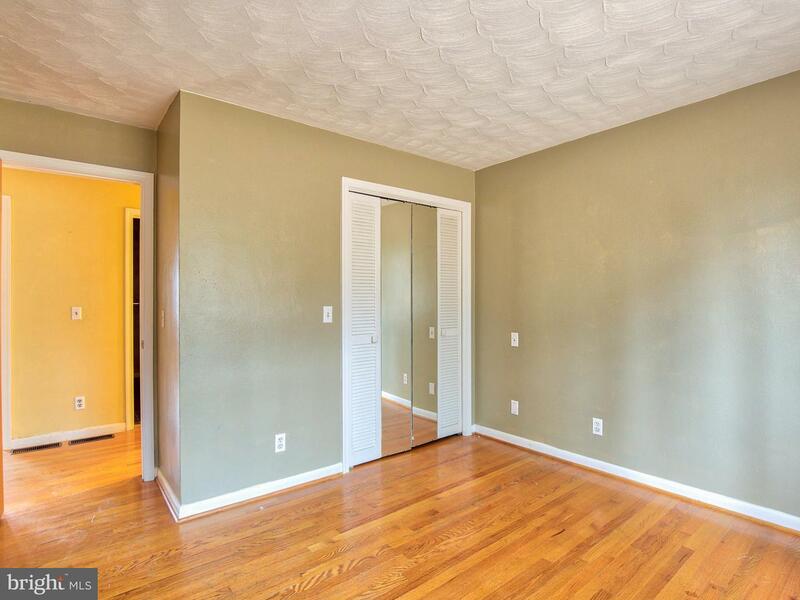 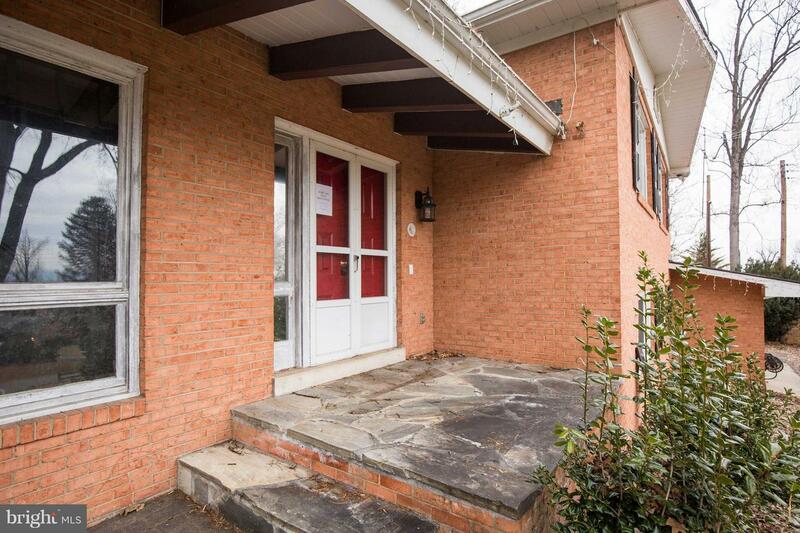 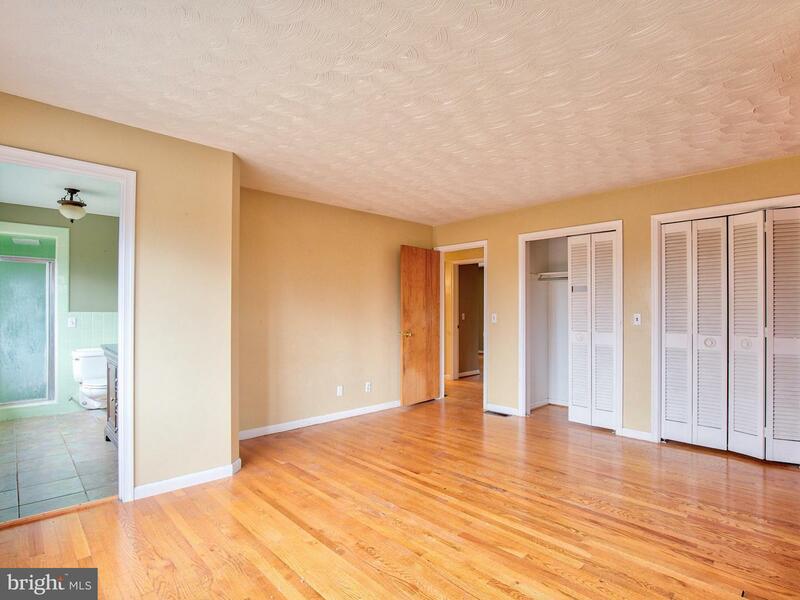 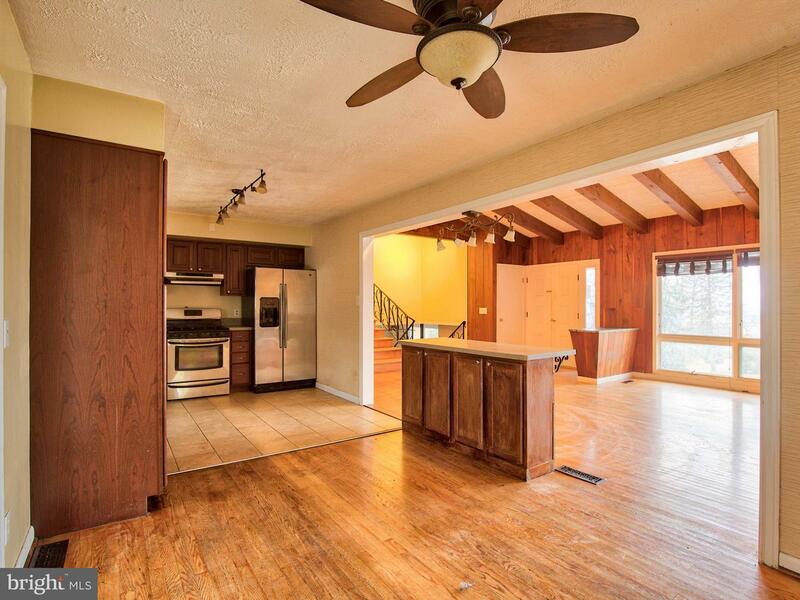 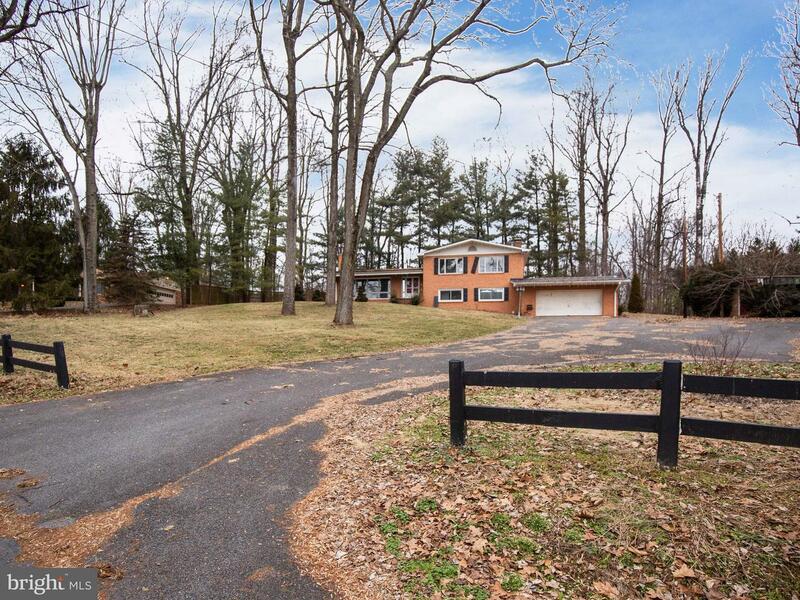 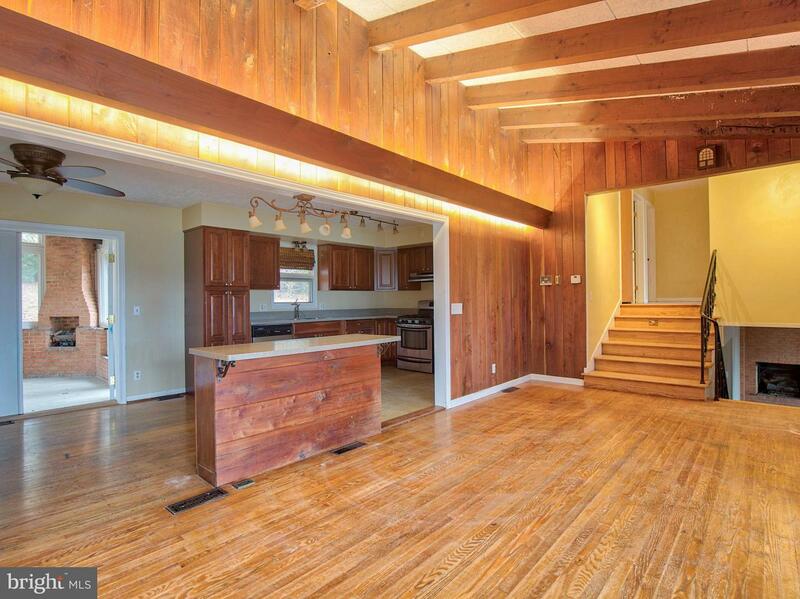 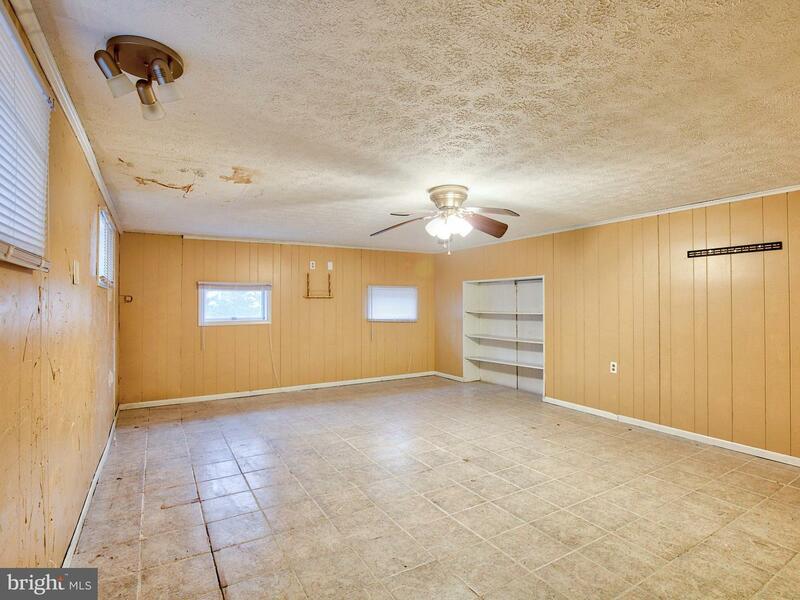 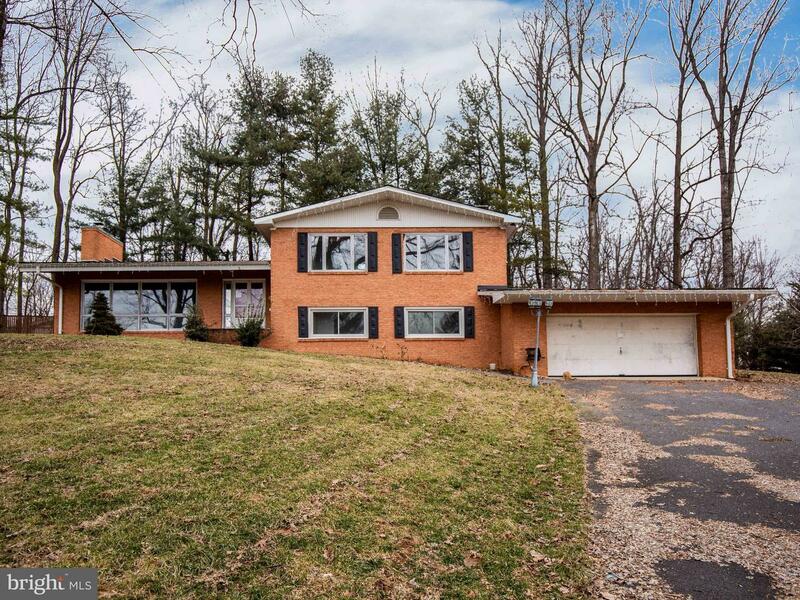 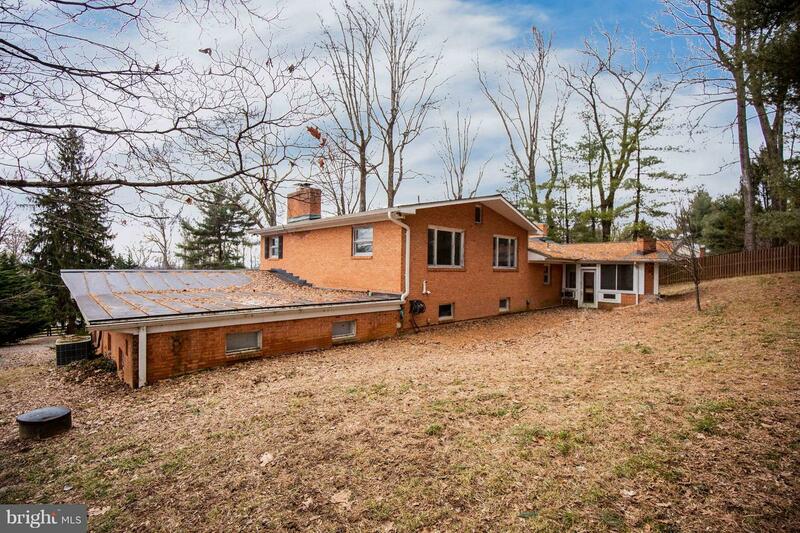 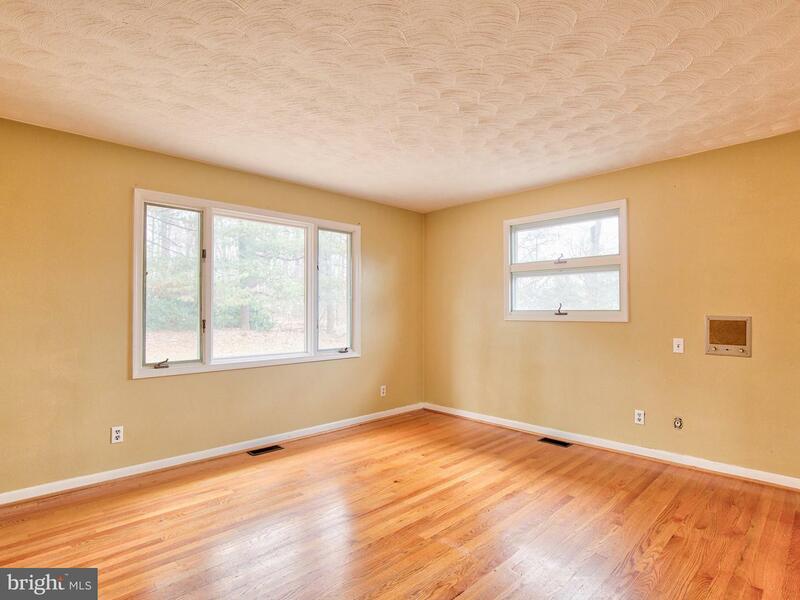 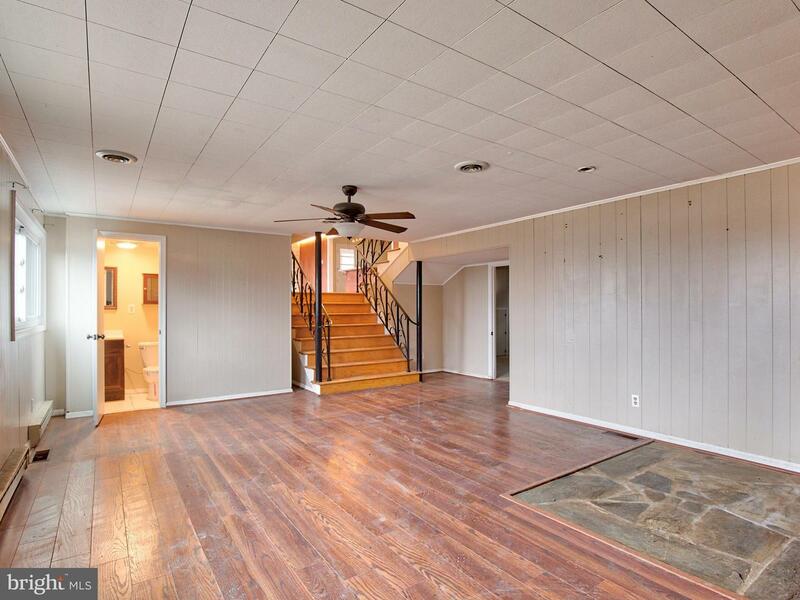 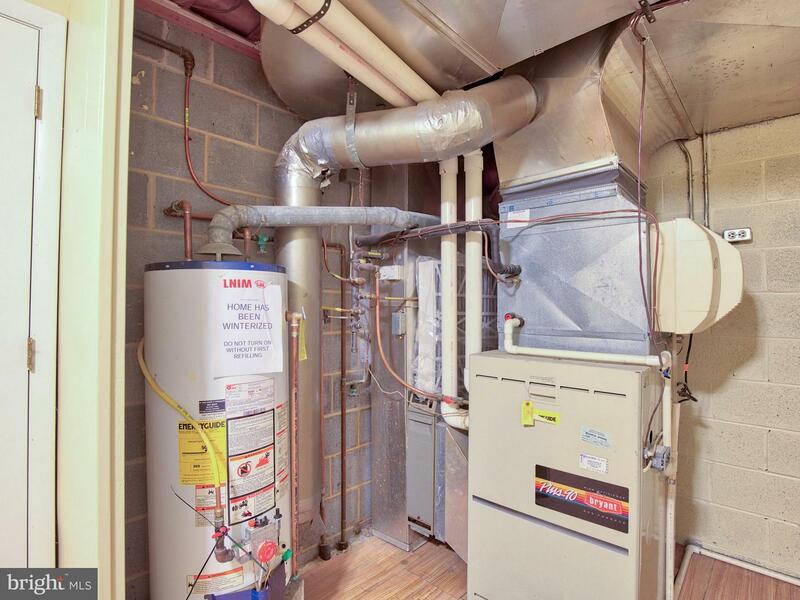 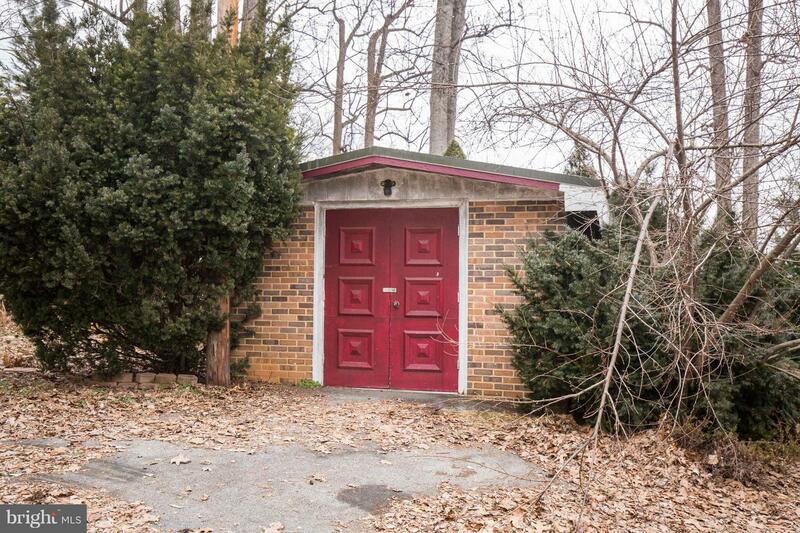 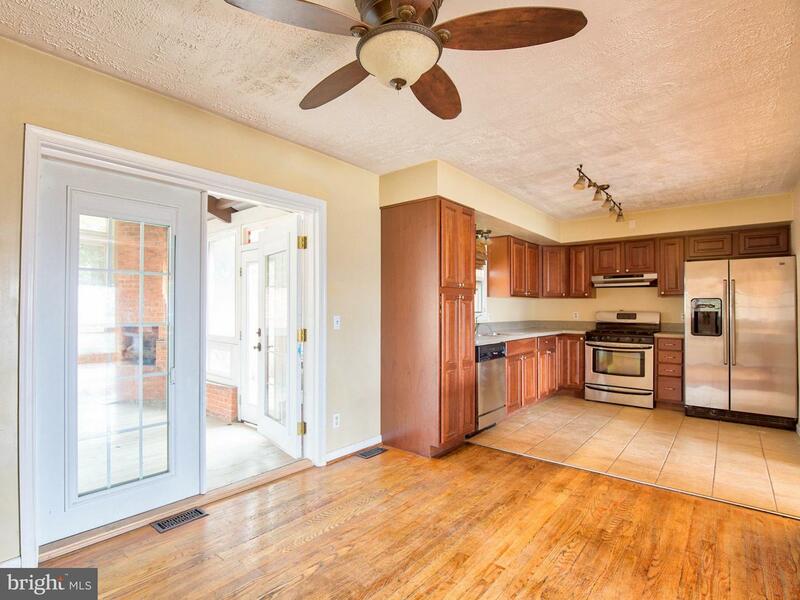 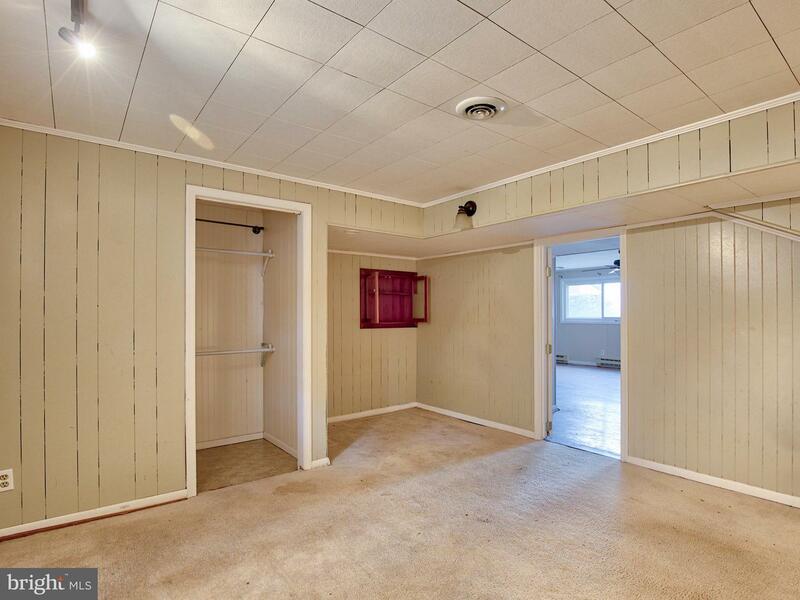 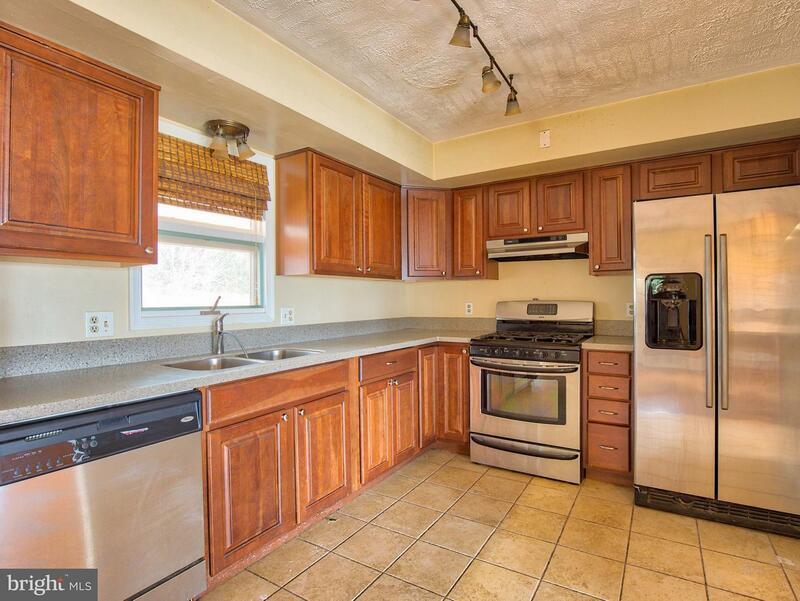 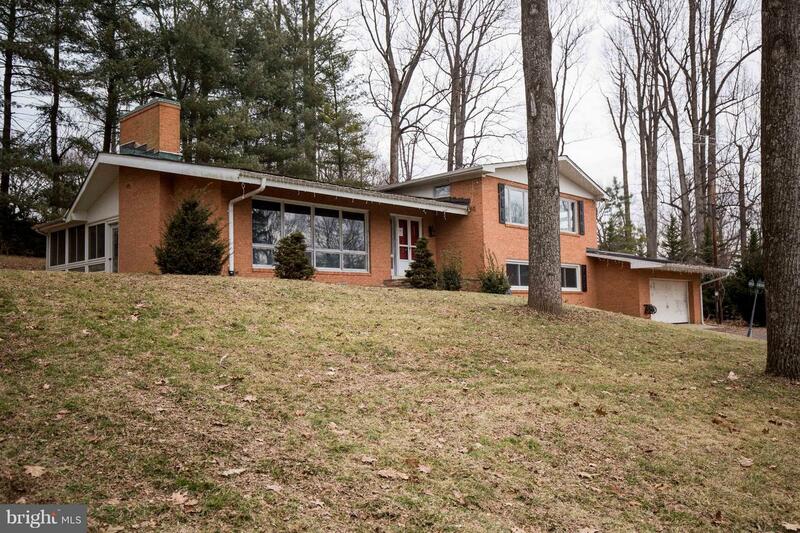 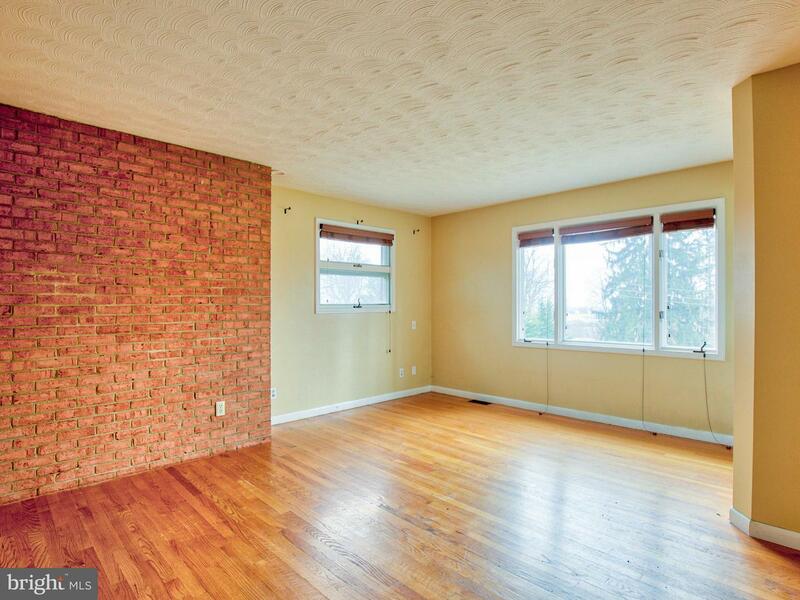 Spacious split level in Jackson Woods development with easy access to Route I-81. 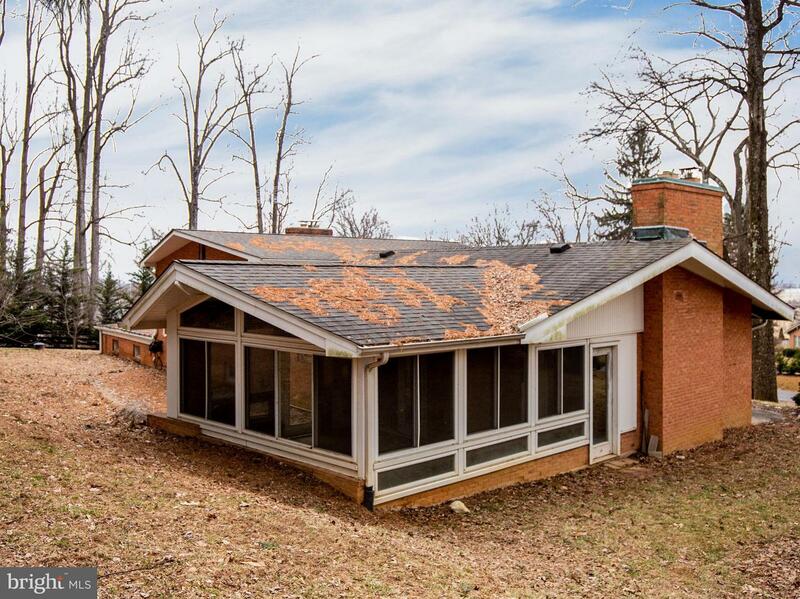 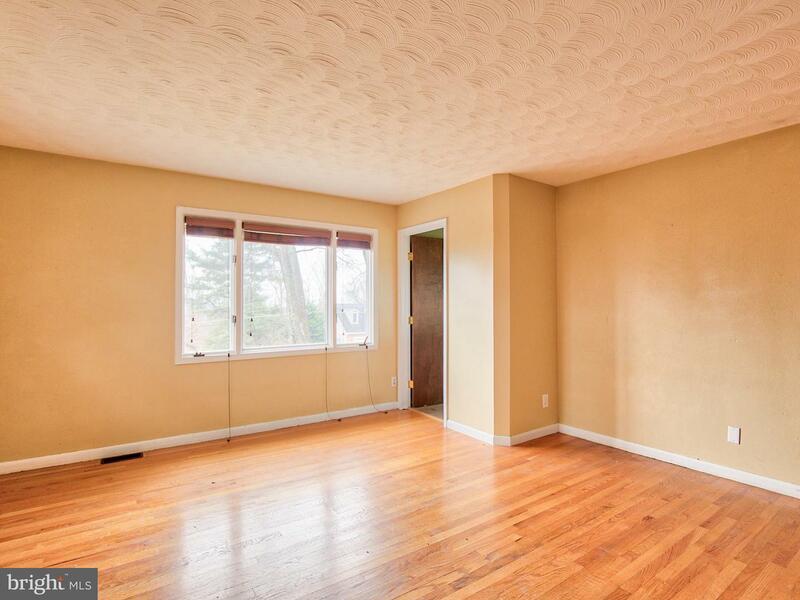 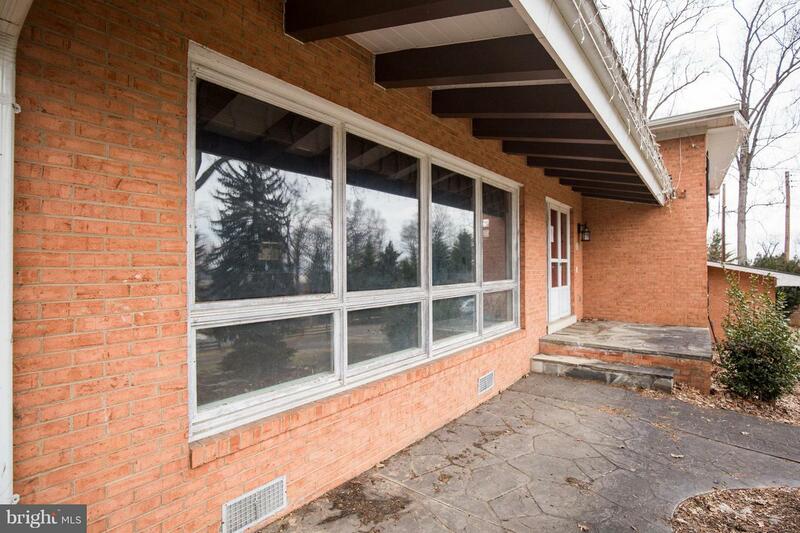 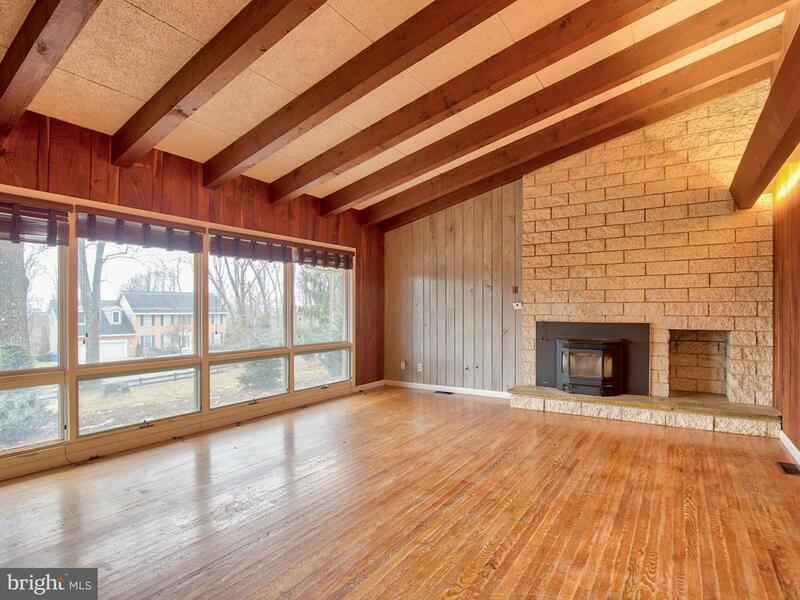 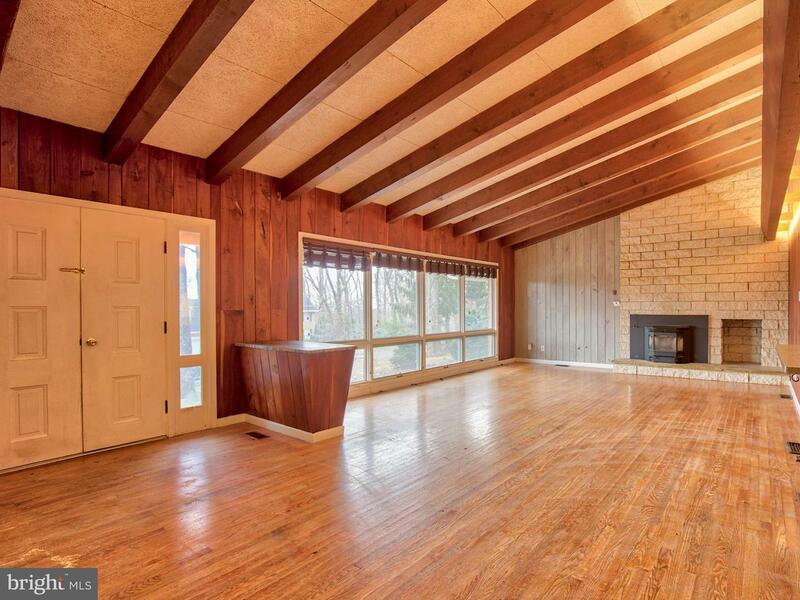 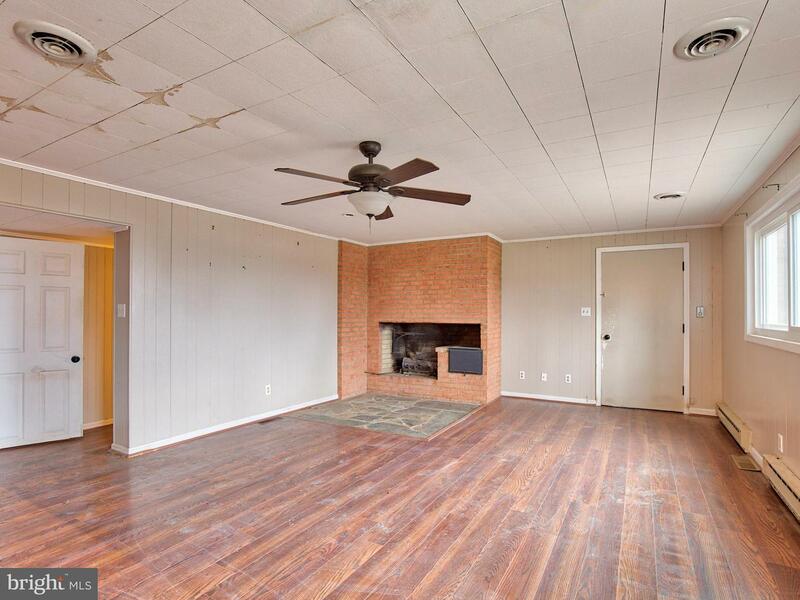 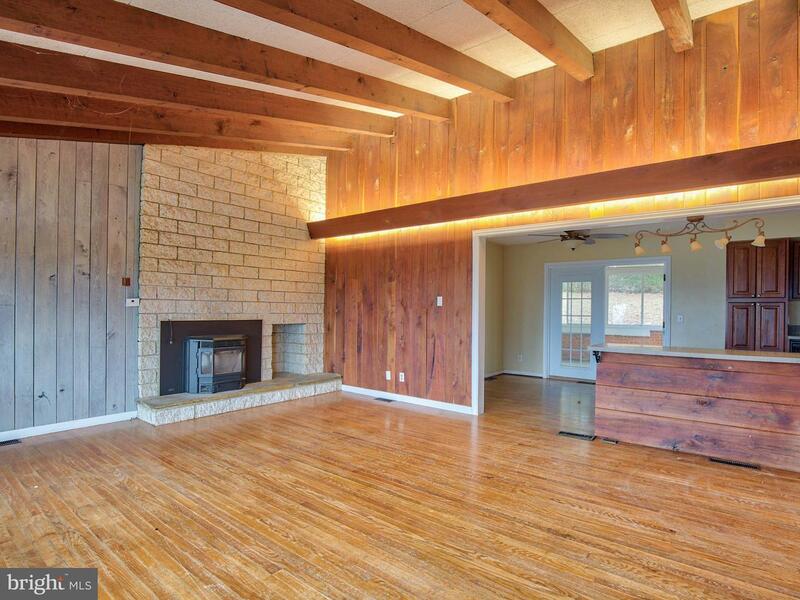 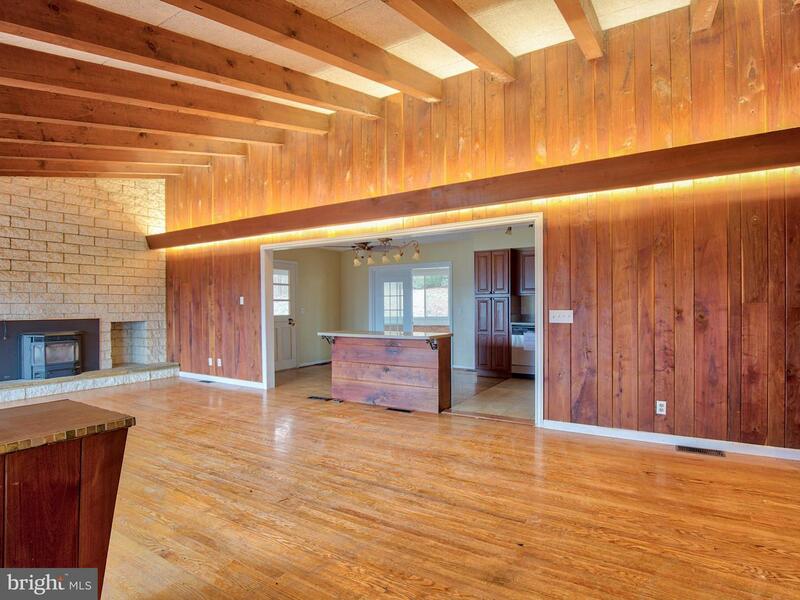 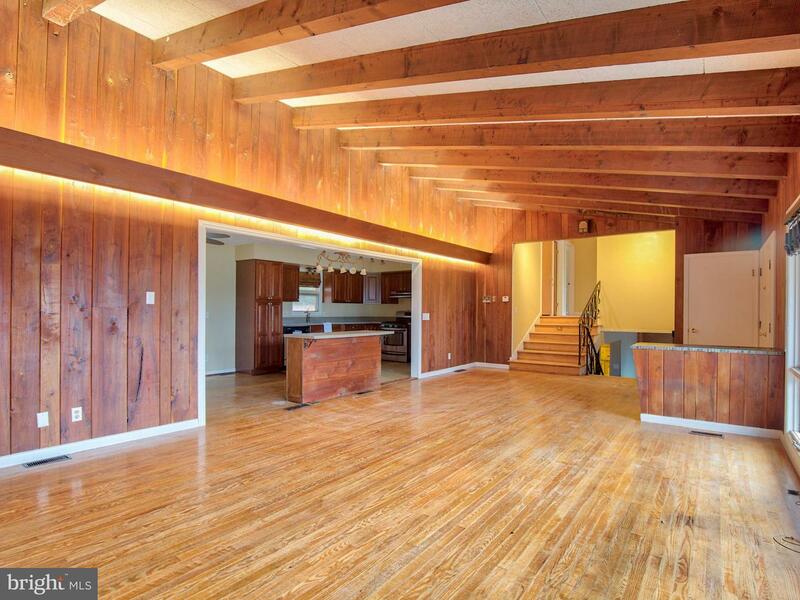 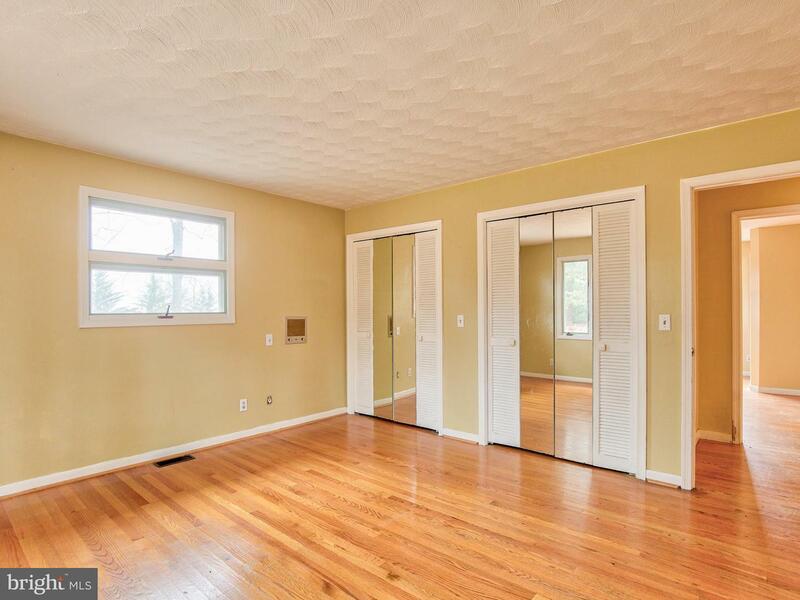 This could be the Mid-Century gem you are looking for with details like exposed beams on the vaulted ceiling, hardwood floors, wood paneling fireplace wall in the living room which is open to the dining area and kitchen. 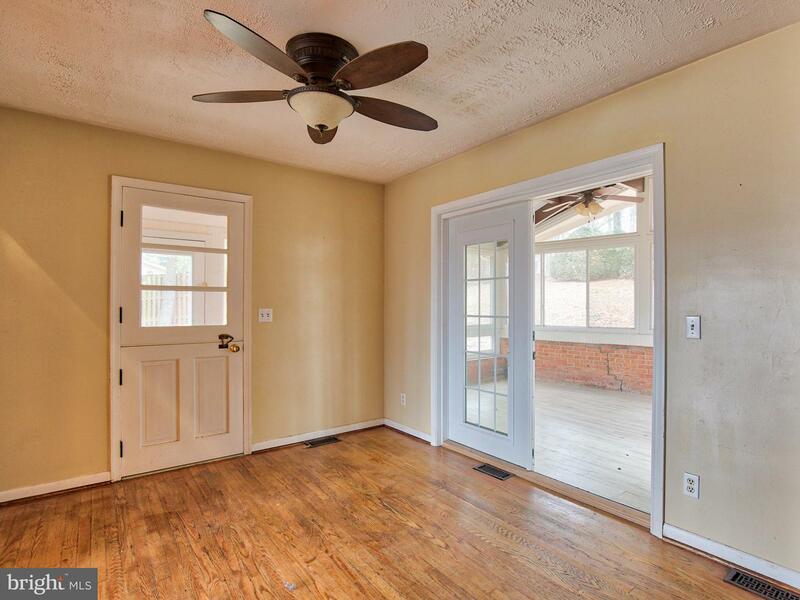 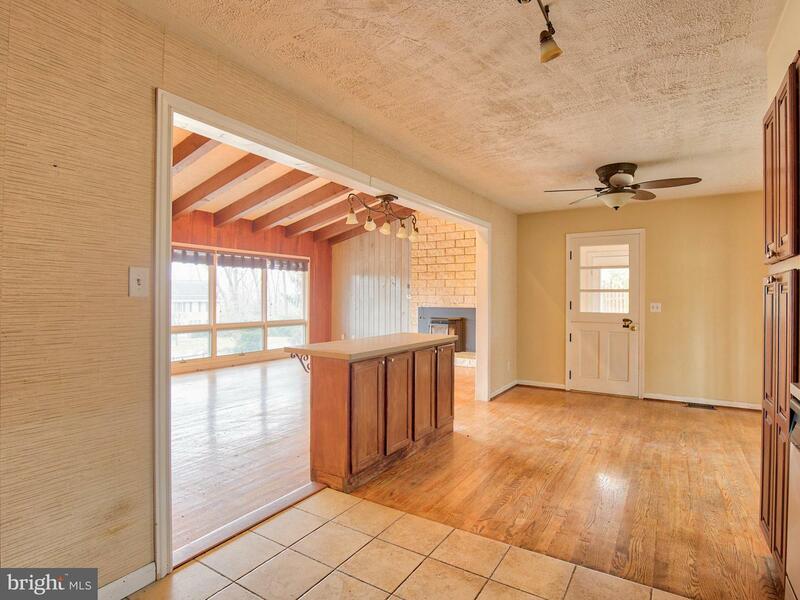 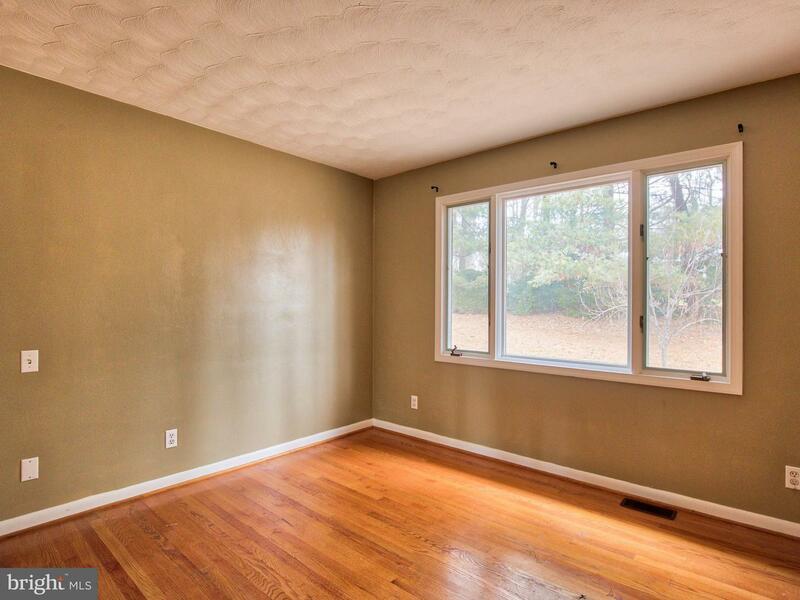 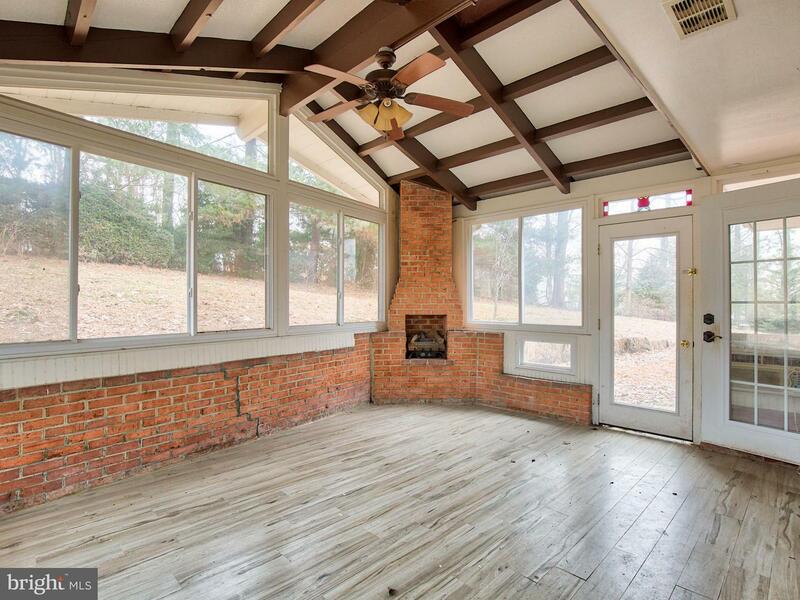 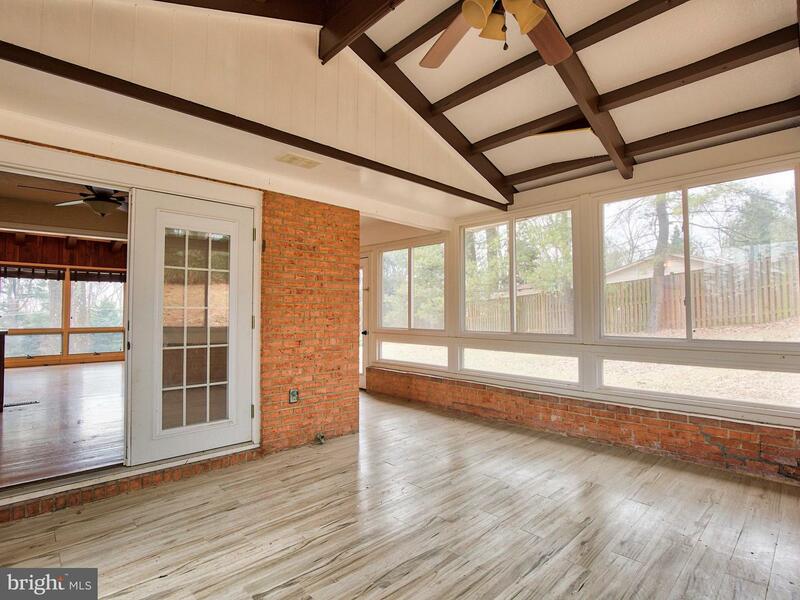 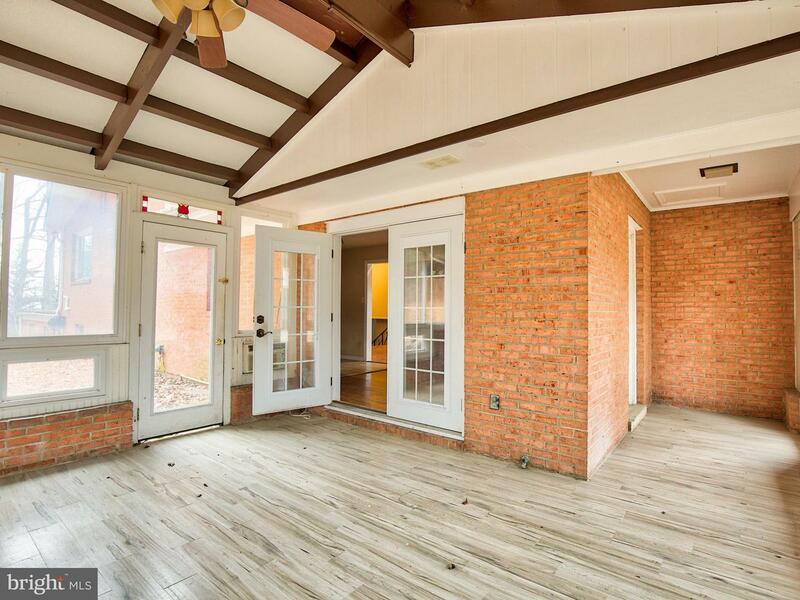 Sunroom on the back of the house has a second fireplace and views of the charming backyard. 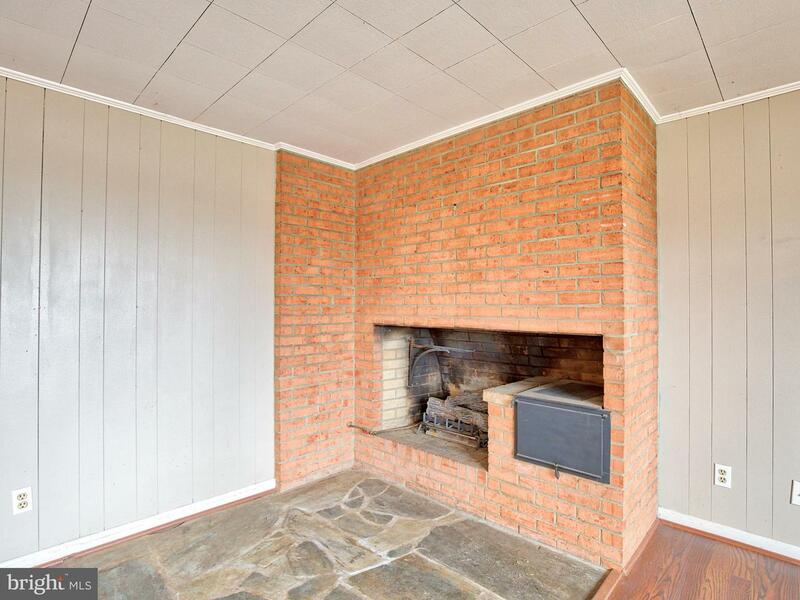 Third fireplace in the lower level living room. 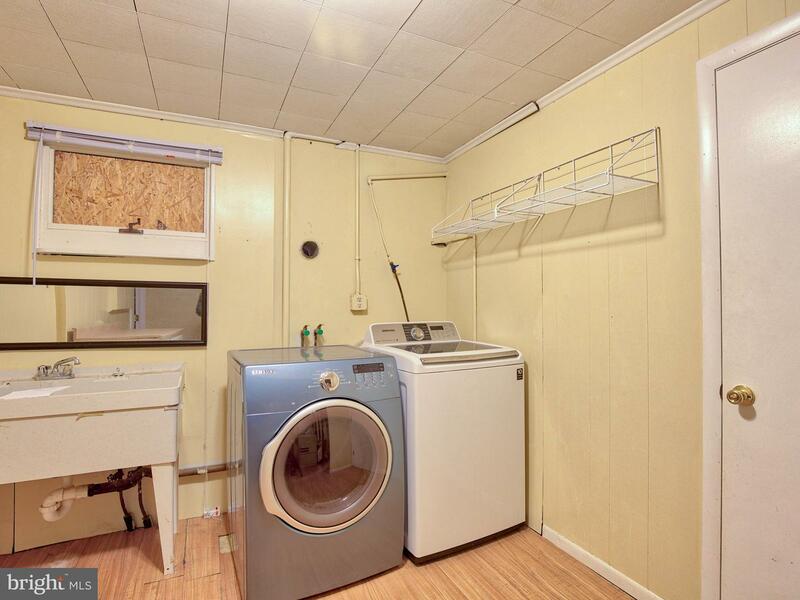 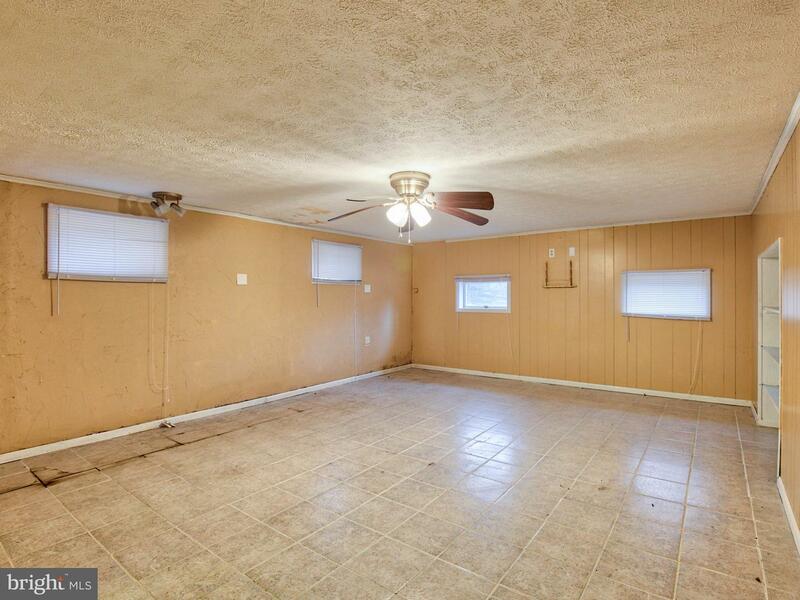 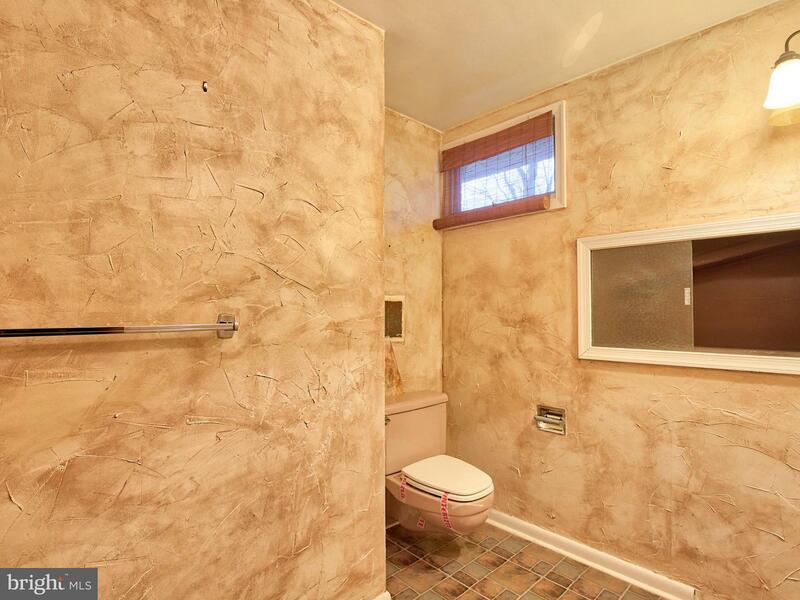 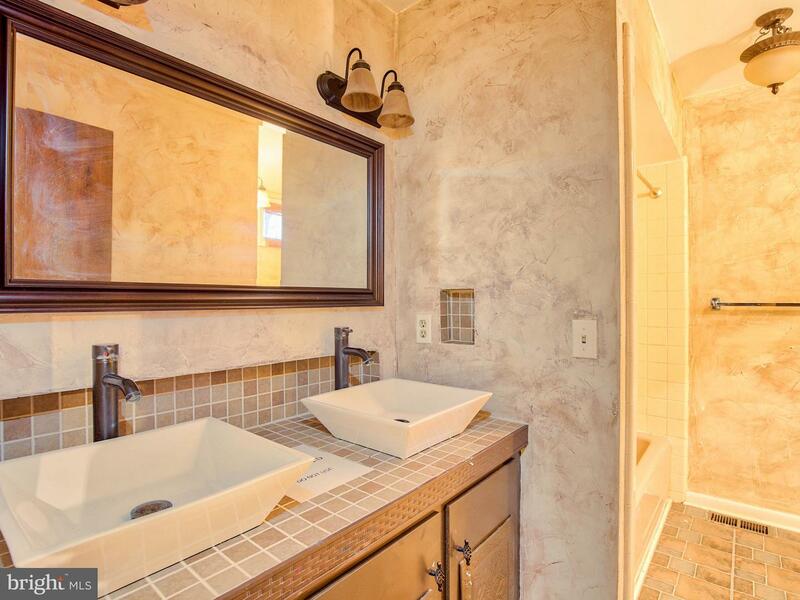 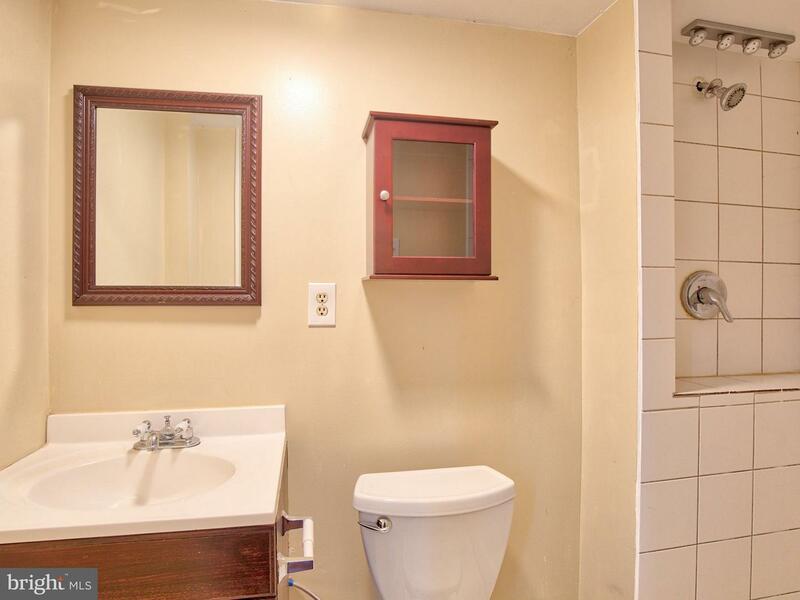 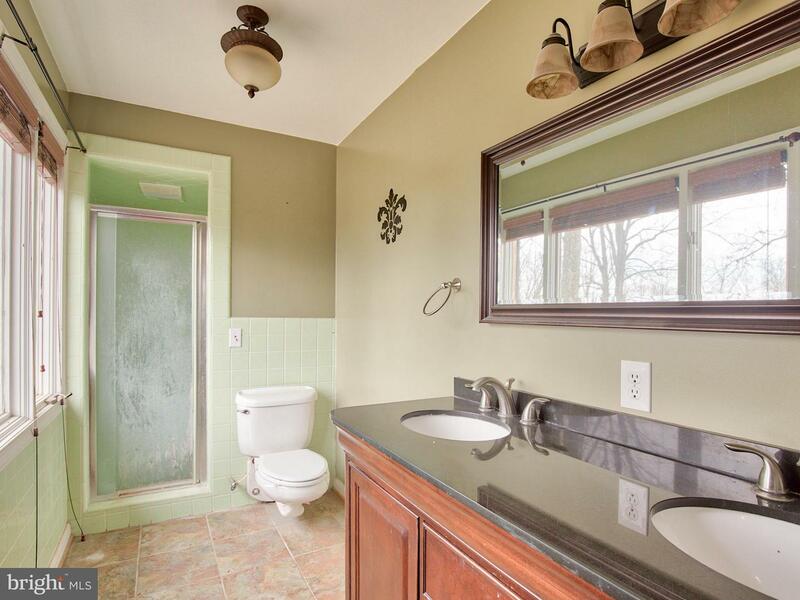 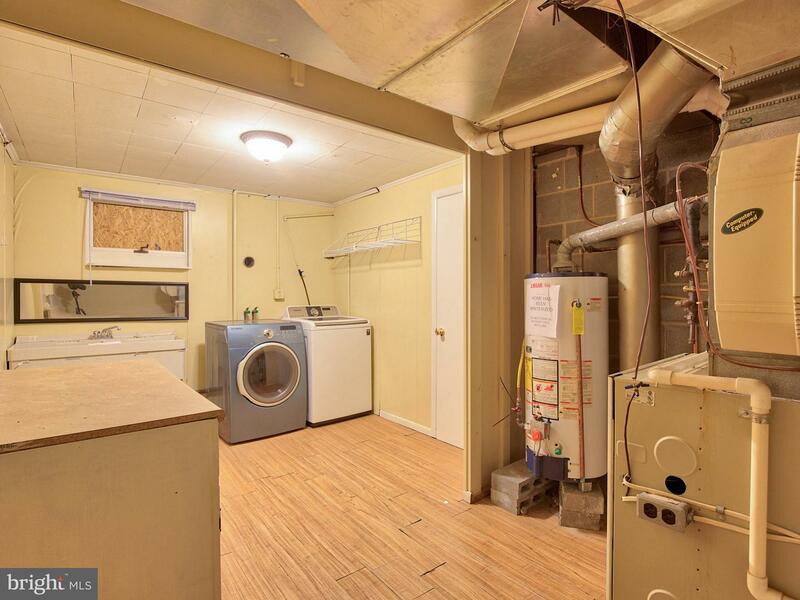 Some elbow grease could make this your dream home.